Chocolate coconut pudding is rich and heavenly. If you love dark chocolate, then you will love this decadent and creamy pudding. It has no dairy, no flour and no refined sugar and it’s Paleo “cheat” friendly. Bliss. In a bowl, whisk together arrowroot powder, cocoa, vanilla and 1/4 cup coconut milk until smooth. In a small saucepan, combine the honey and the remaining coconut milk over medium heat and cook until until it comes to a low simmer. Add in dark chocolate and stir constantly until chocolate is smooth and completely melted. Add in the cocoa mixture and whisk continuously until smooth. In a small bowl, whisk the egg yolks to break them apart, stir in a little of the coconut milk mixture, then pour it all into the saucepan. Return to a low boil, whisking constantly until mixture coats the back of a spoon. Pour into ramekins and place plastic wrap directly on the surface to prevent a “skin” from forming. Chill in the refrigerator and serve cold. I like to garnish these with a little shaved dark chocolate. Dig in and enjoy. Chocolate coconut pudding is rich and heavenly. 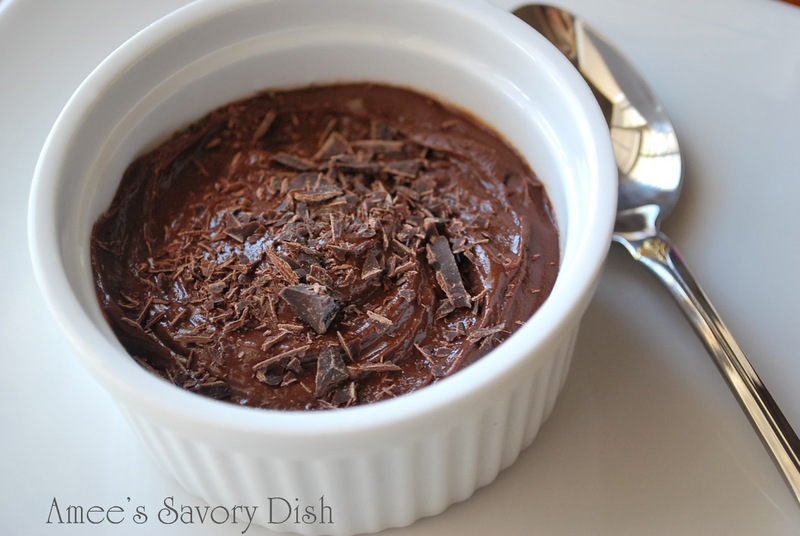 If you love dark chocolate, then you will love this decadent and creamy pudding. It has no dairy, no flour and no refined sugar and it's Paleo friendly. I like to garnish these with a little shaved dark chocolate. In a bowl, whisk together arrowroot powder, cocoa, vanilla and 1/4 cup coconut milk until smooth. Set aside. In a small saucepan, combine the honey and the remaining coconut milk over medium heat and cook until until it comes to a low simmer. Add in dark chocolate and stir constantly until chocolate is smooth and completely melted. Add in the cocoa mixture and whisk continuously until smooth. In a small bowl, whisk the egg yolks to break them apart, stir in a little of the coconut milk mixture, then pour it all into the saucepan. Return to a low boil, whisking constantly until mixture coats the back of a spoon. Pour into ramekins and place plastic wrap directly on the surface to prevent a “skin” from forming. Ohhhhh yummmm!!! It looks gorgoeus, and decadent!! Love it!! Oh my! This looks so good! My boy loves chocolate and can’t have dairy or gluten! Thank you so much for this!!! I love dark chocolate and I love coconut. . .this is my kind of dessert! This looks delicious and is so healthy! Thanks for sharing on Foodie Friends Friday. Please come back by today to vote.